Ceiling clothes hanger with steel cable. 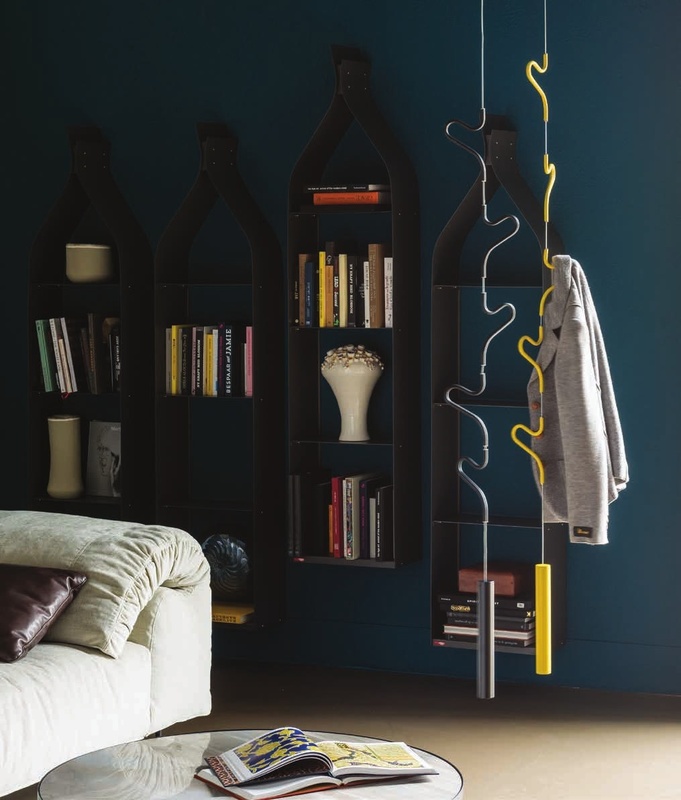 Hangers and details in chromed steel or matt withe, black, yellow or red painted steel. Optional: additional steel cable 3 mt long.